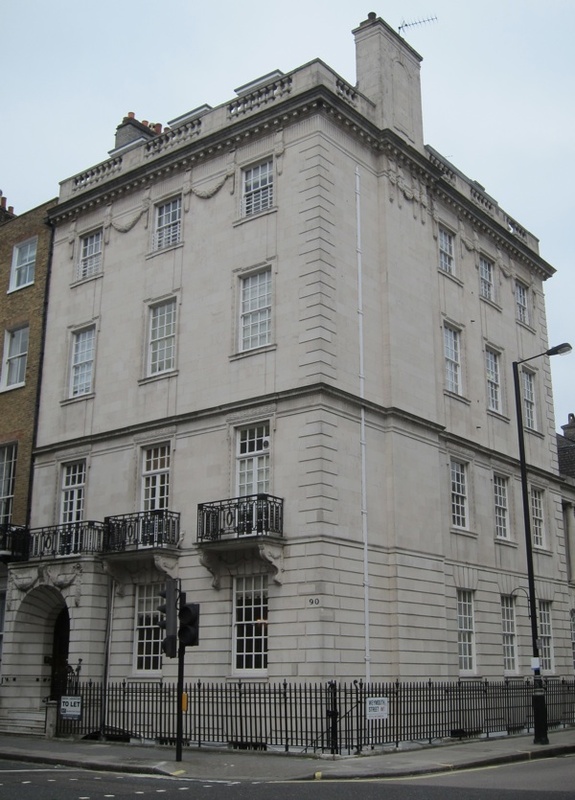 With the recent change in the weather, I thought I could risk a trip beyond Spitalfields and so I took the Metropolitan Line from Liverpool St Station over to Baker St and spent a pleasant afternoon exploring the wonders of Marylebone. It was a reconnaissance in advance of my MAGIC LANTERN SHOW at the beautiful Daunt Books, Marylebone High St, next Thursday 20th March, where I shall be showing one hundred of my favourite photographs and lantern slides of London, old and new, and telling the stories of the people and the places. 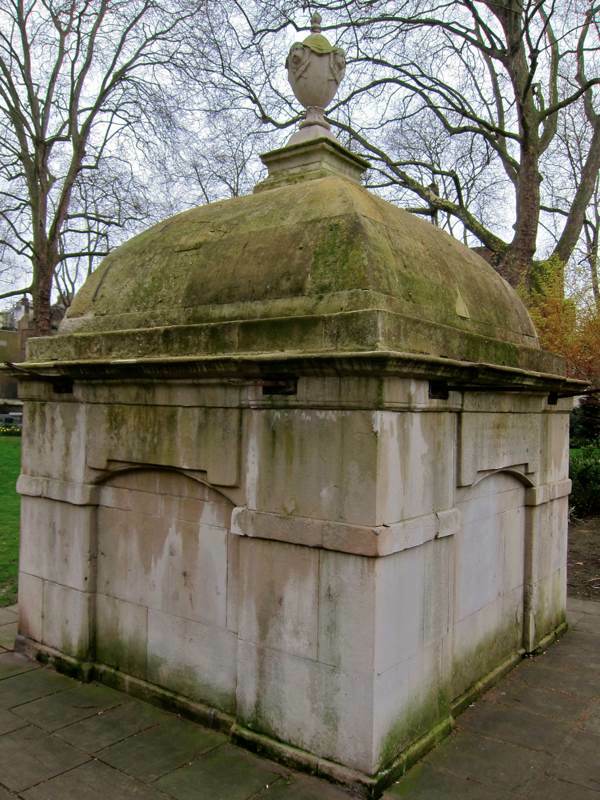 Peeling off from the teeming crowds heading for Madame Tussauds and the Planetarium, I crossed Euston Rd to the parish church of St Mary, that once stood upon the banks of the bourne which gives the place its name and flowed south from here towards Oxford St where it became the Tyburn. 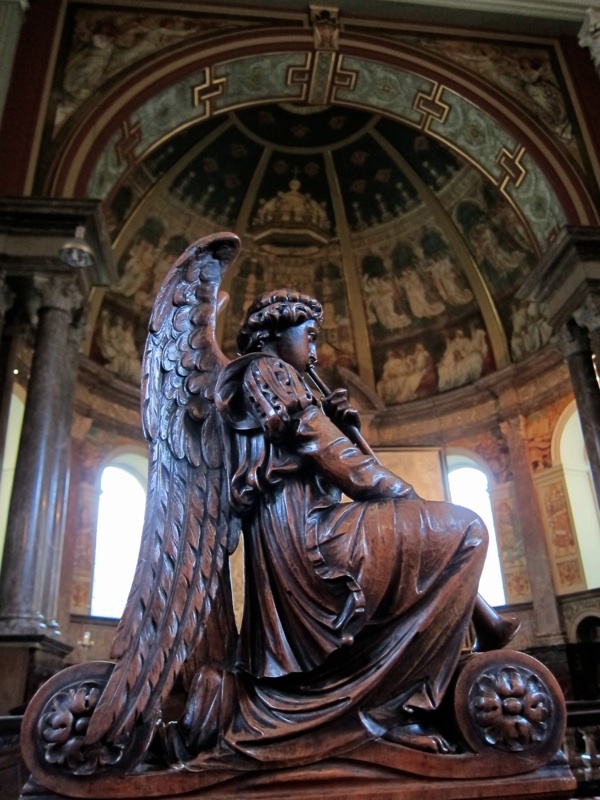 Thomas Hardwick’s cool classicism of 1813 promised a welcome respite from the clamour of the traffic racing past outside, an effect only marginally undermined by the array of gruesome Lentern sculptures of the Crucifixion including a skeleton carrying a cross. 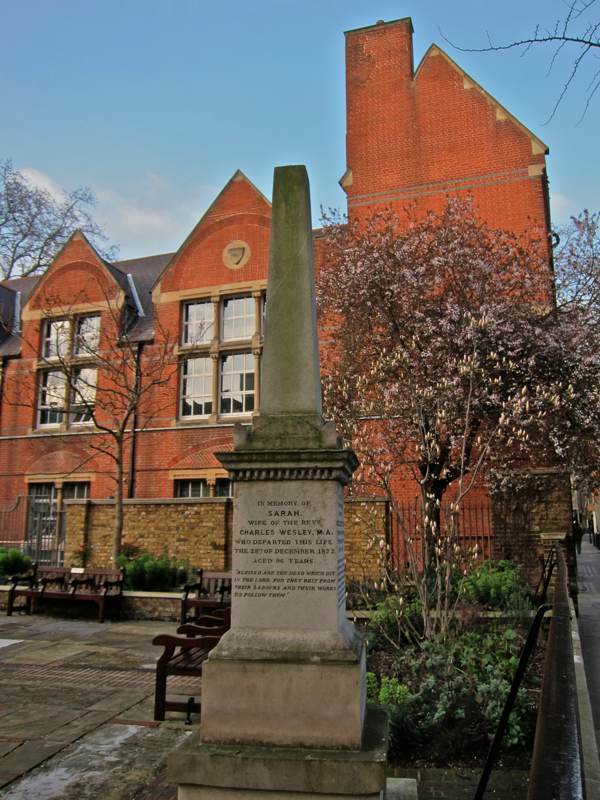 From here, I took the shortcut through the cobbled churchyard, beside St Marylebone School founded as the Day School of Industry in 1791, and turned right past the obelisk commemorating Charles & Sarah Wesley that commands a tiny yard, offered now as a garden of ease and reflection for exhausted shoppers struggling up from Oxford St. 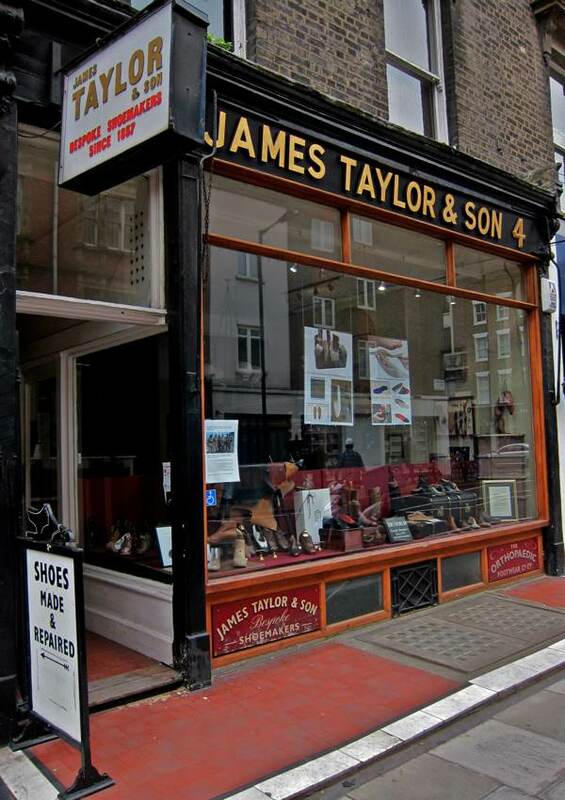 Lest I should get distracted by the fancy shops in the High St myself, I turned right again into Paddington St to peer into James Taylor & Sons, Shoemakers since 1857, when the founder walked from Norwich to start the business. 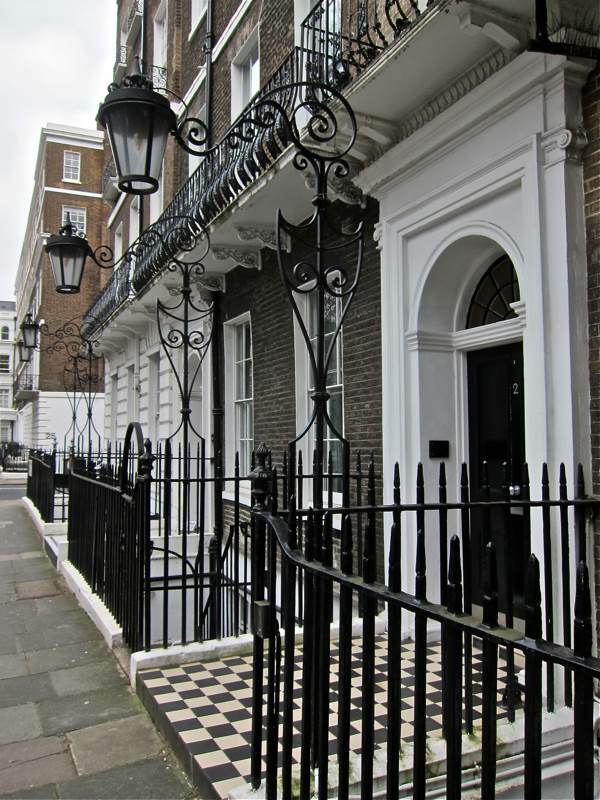 Crossing the road, I entered the narrow Grotto Passage which offers a portal to another Marylebone than the affluence which prevails elsewhere. 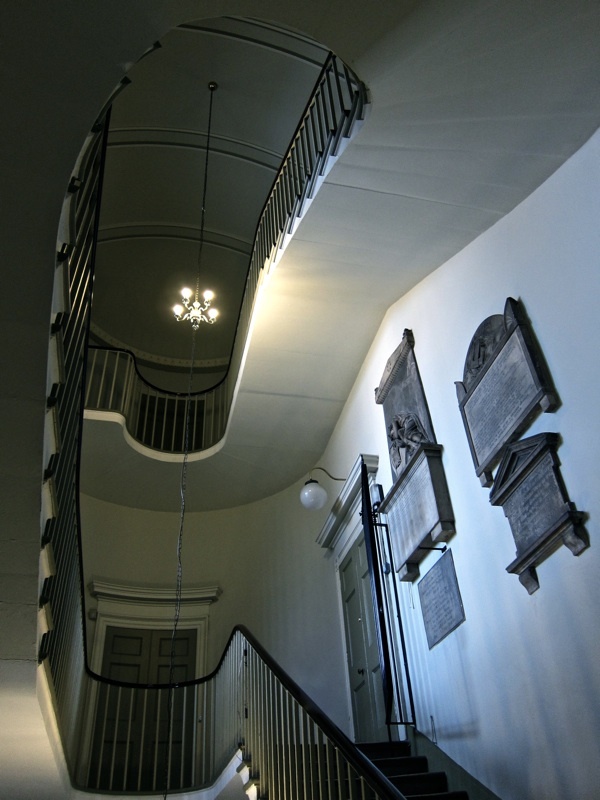 Through the passage, you discover the Grotto Ragged & Industrial School beside a huge Laundry House at the centre of Ossington Buildings, a nineteenth-century complex of social housing dating from 1888. 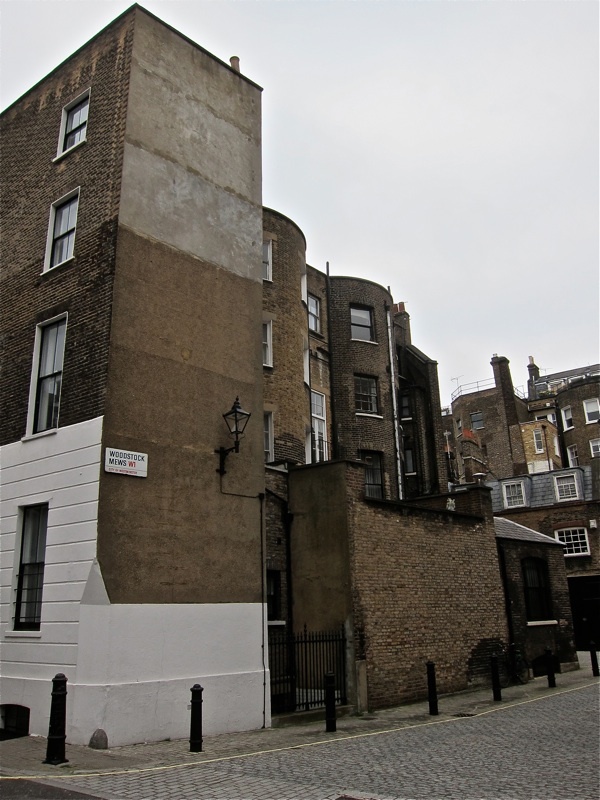 These narrow streets lead you through to the seclusion of Paddington St Gardens, a former burial ground, bordered by iron bollards with St Mary Le Bone 1828 in relief. 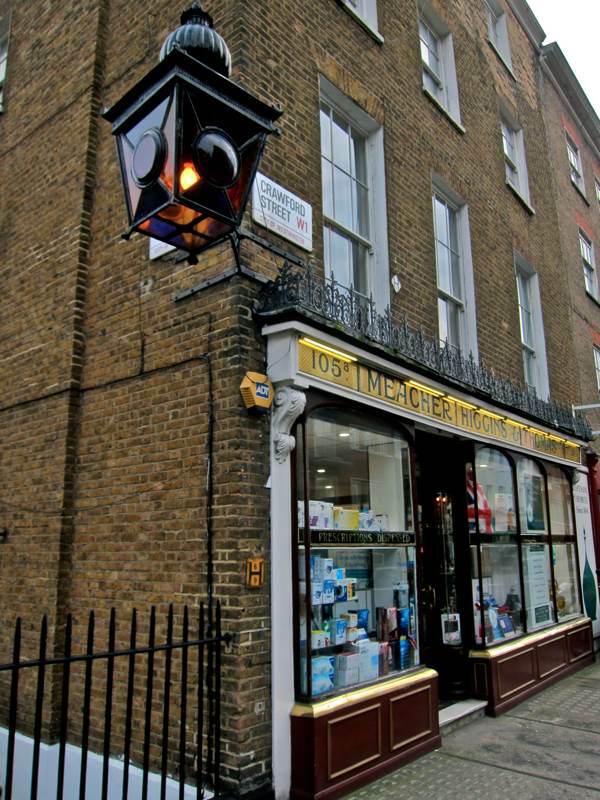 Here in the gardens, school children at play and mothers with their tots attest to the domestic life of Marylebone, while in Chiltern St I discovered Webster’s Ironmongers in business since 1870, a rare survivor of the traditional businesses that once lined these streets before the chain stores of Oxford St ventured northwards. The current owner has been behind the counter for thirty years, cherishing Websters as a temple to the glories of hardware and household goods. A different urban landscape opens up beyond the charismatic meander of Marylebone Lane, it is that of wide boulevards and tall mansions comprising Wimpole St and Harley St, interwoven by cobbled mews in which you can wander, as if behind the scenes at the theatre, observing the scenery from the reverse – where the mish-mash of accreted structures concealed by those impermeable facades are revealed. Leaving these exposed thoroughfares where the traffic hurtles through and the pavement grants no shelter to the lone pedestrian, I set out to walk west as the shadows lengthened, crossing Marylebone High St again and following Paddington St as it became Crawford St where the neighbourhood declines towards Edgeware Rd. 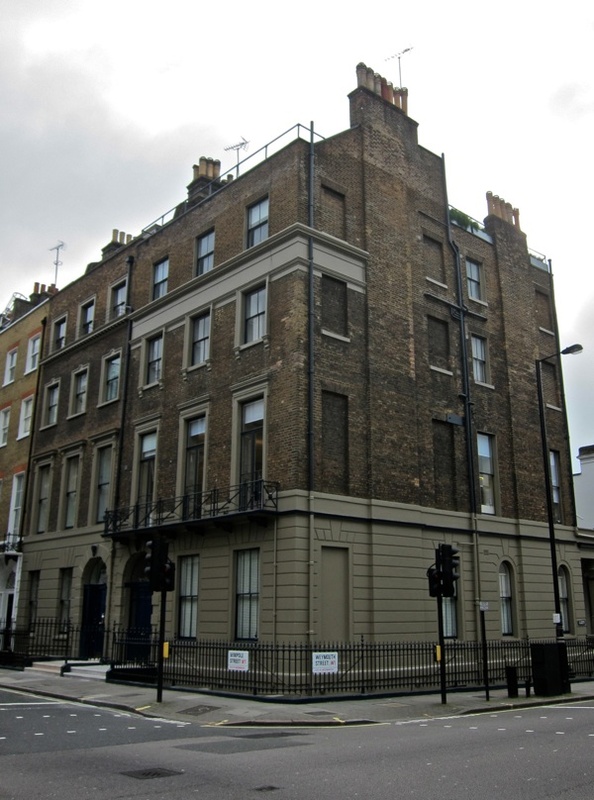 My destination was Robert Smirke’s St Mary’s Bryanston Sq of 1823, defining a favourite corner of Marylebone where, bordered by the Euston Rd, Edgeware Rd and Oxford St, a quiet enclave of old London persists. 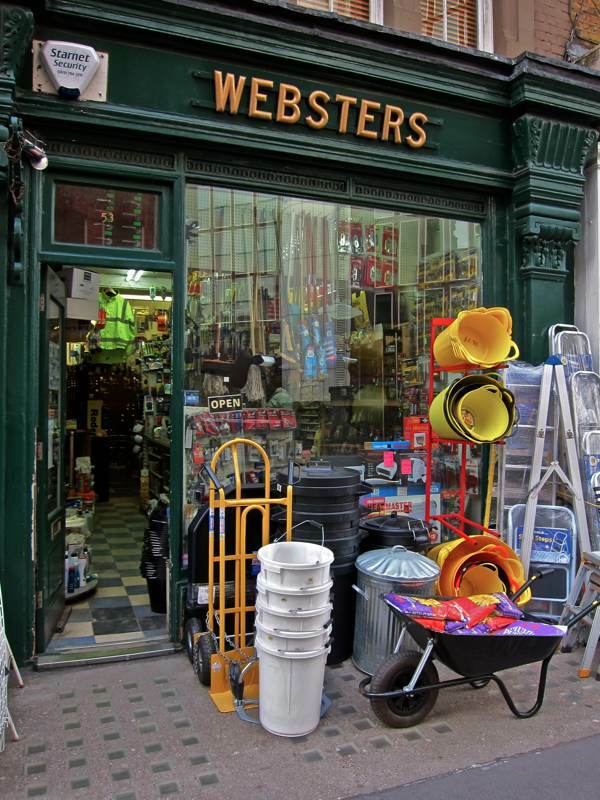 Oh, let me in at Websters!! I love hardware stores, as we call them over here. Give me rope and turnbuckles and mop heads and pvc pipe! I lived in Swiss Cottage when I was small until in my teens. 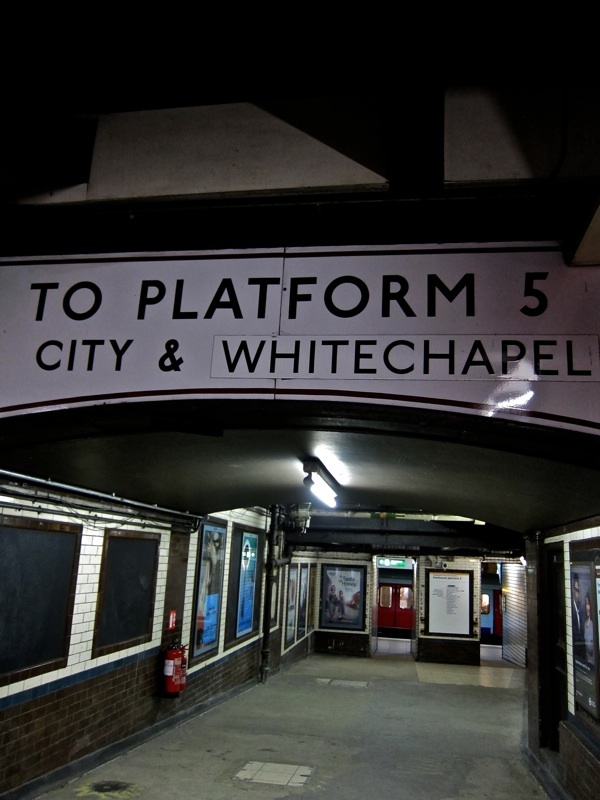 Marylebone was on route to Swiss Cottage and it was one of my childhood haunts and it leaves with me very fond memories. Seeing the photos give me that lovely journey back into childhood we had just come out of the war and the future looked rosy. 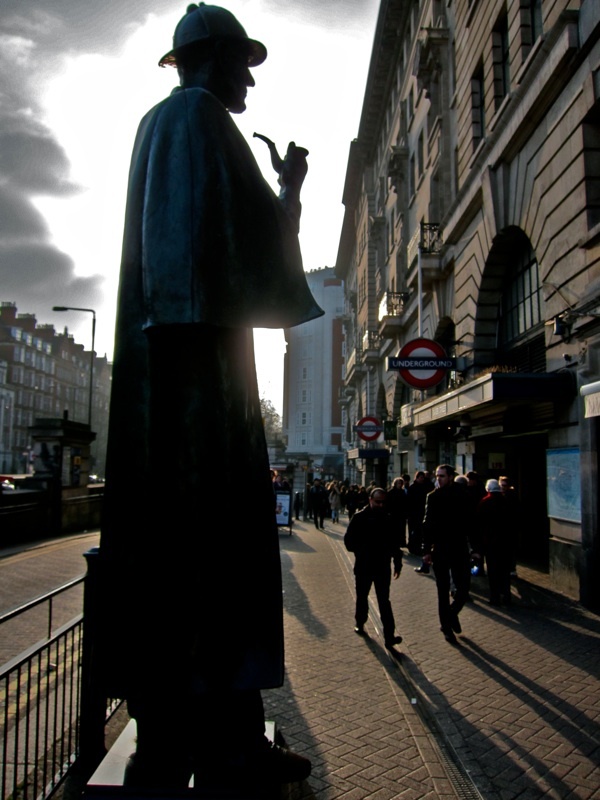 Later on I went to work in Baker Street. My daddy used to take me to a lovely tiny sweet shop with glass bottles all around the shelves and I had a bag of sweets also a sugared mice costing about 3d. There was a zoo nearby called Regents Park zoo and I was taken there by an uncle and aunty, but I hated the zoo because the animals smelled and the poor animals were locked inside the cages. How I wanted to let them go! No mention of the “Golden Eagle” ?? 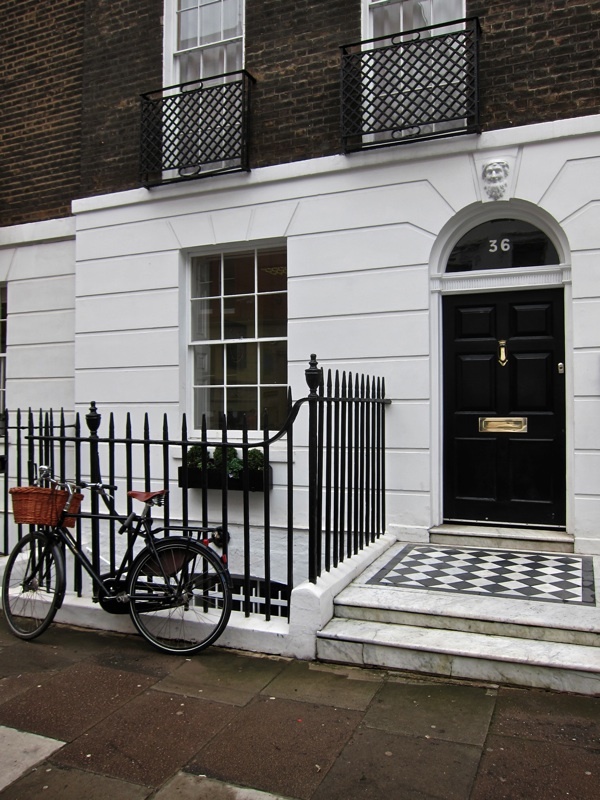 By the juction with Bentinck St …. 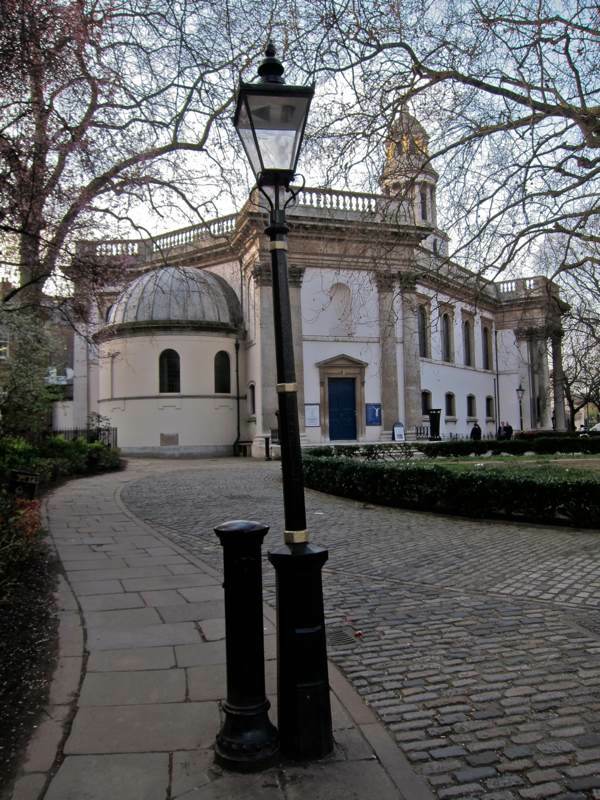 Wonderful celebration of our Marylebone. Would be interested in attending your event on 20 March if there is a spare invitation? 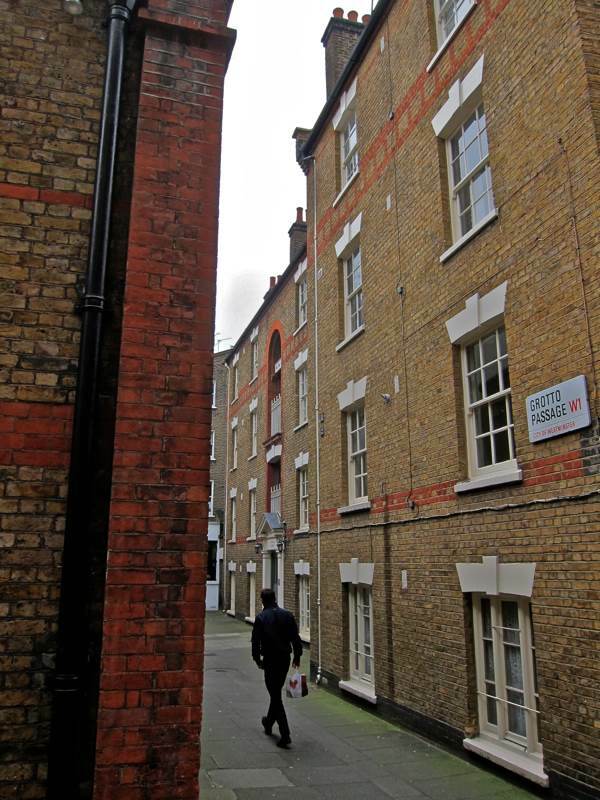 What a lovely article,how nice to see these places still exist in modern London,which to a non resident looks ghastly! Oh, let me in at Daunt Books!! I love “Buchläden”, as we call them over here. Give me some books: new and antiquarian and classic and old children’s! 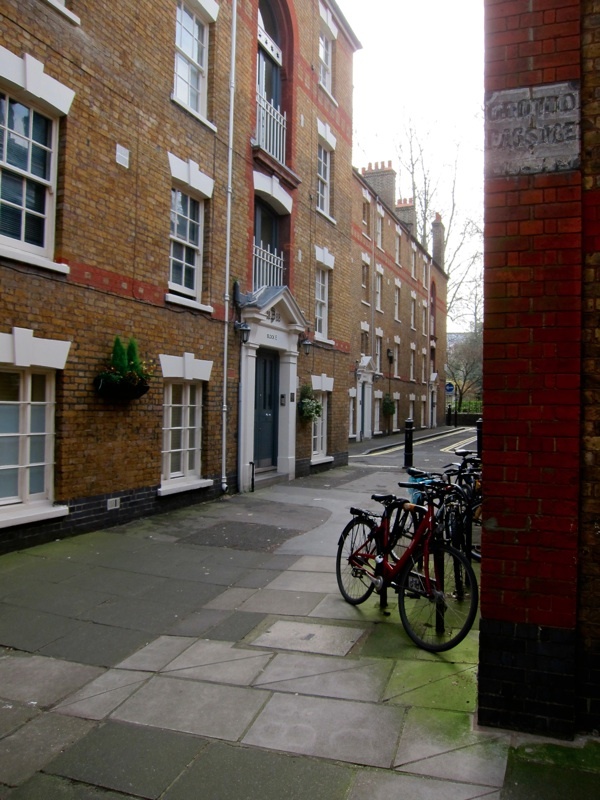 What an amazing post – you found most of Marylebone’s amazing little streets and your photos are brilliant! Lovely to see all these familiar places in the neighbourhood next to where I live. I know them all well, all except for the church as I have never been inside. I will remedy this, the next time I go past! 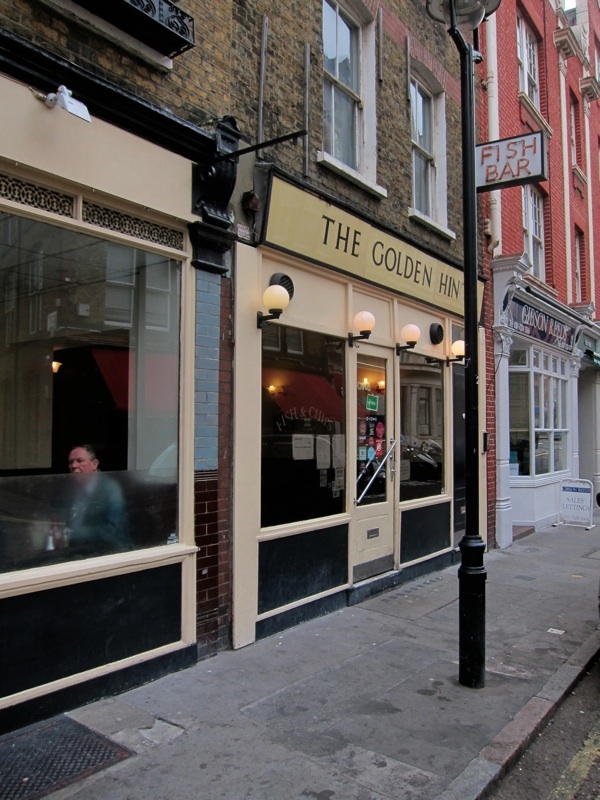 Another interesting place in the area is the Windsor Castle pub at 27 Crawford Place, where on the first Friday of nearly every month the moustachioed gents of the Handlebar Club have their monthly get-together. Perhaps, Gentle Author, an interview with them would be an idea for this website. The club was founded in 1947 and all you need to join is a real moustache with “graspable extremities”. No beards allowed. 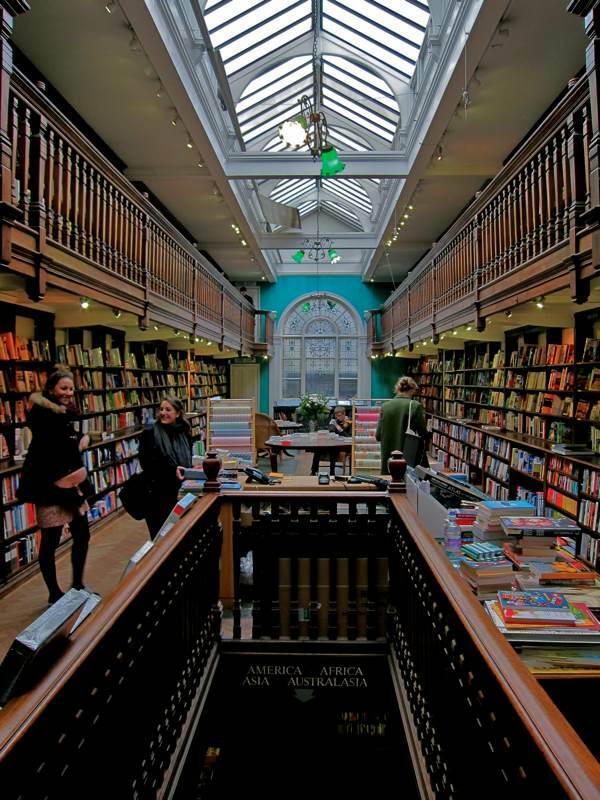 Marylebone is an absolute favorite area for a weekend stroll and Daunt Books is a magical place! 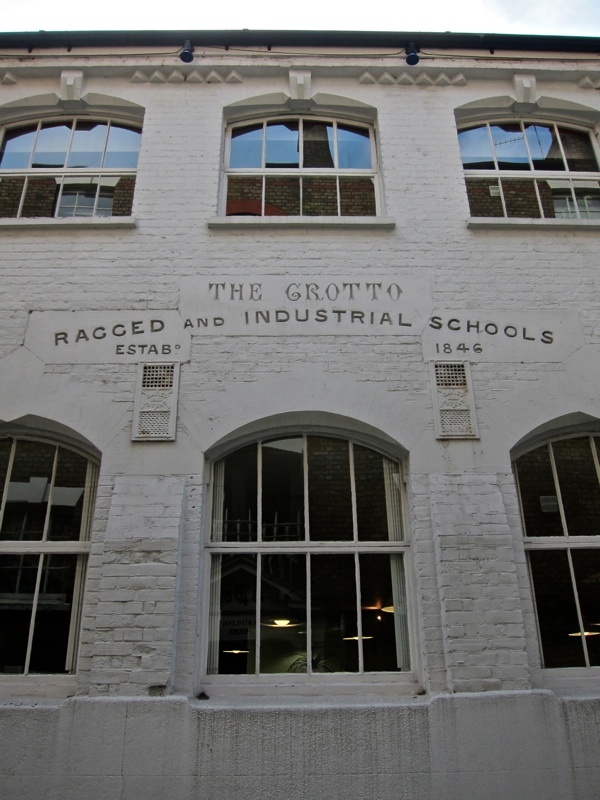 But very jealous also that you live near Spitalfields. Adore feeling thrown back in time walking around there. Very best wishes for your show on the 20th. 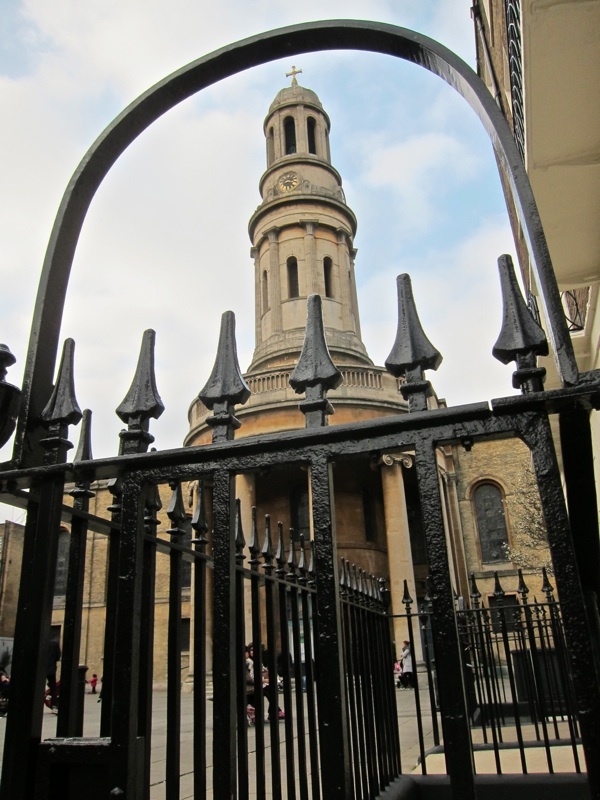 thanks for sharing marylebone’s secret spaces. it’s kind of a nice backwater right in the center of london. 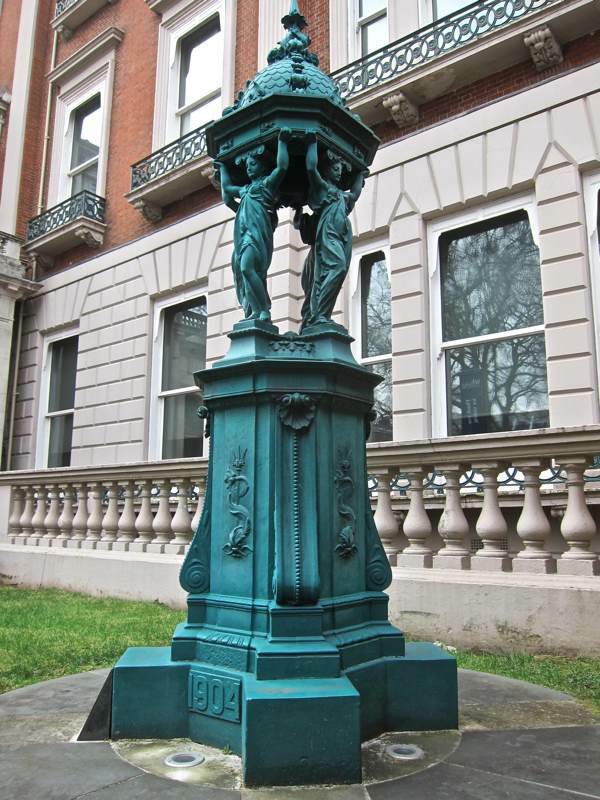 also loved the Troxy and Speaker’s Corner posts! And what of Patisserie Valerie? Their jam doughnuts contain a pool of jam so generous that you could go swim in it! And Monocle Cafe on Chiltern St? Part of the Monocle Magazine conglomerate. 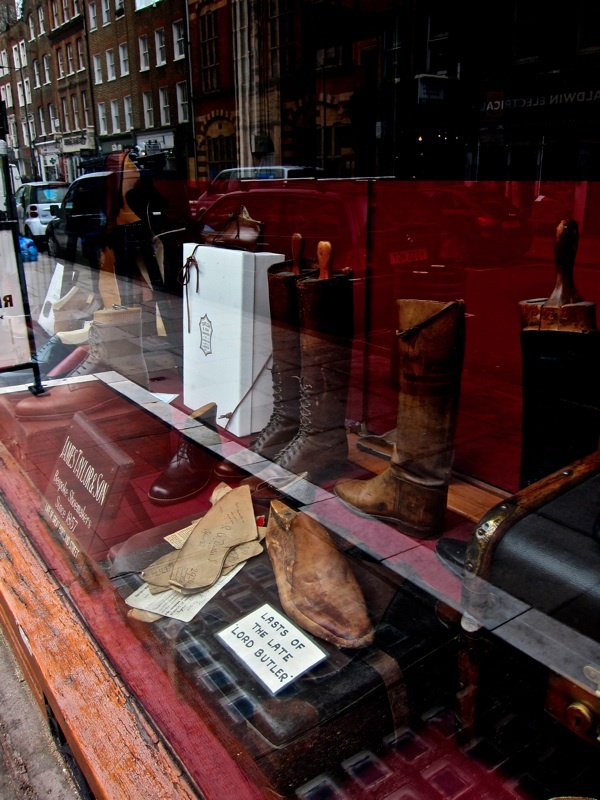 (I didn’t go in, the facade just makes for a cool photo) Or the Button Queen on Marylebone Lane. And there is a pub near Moxton Street (The Winson Churchill?) complete with pub sign of Winston himself, giving the peace sign the ‘wrong way round’. 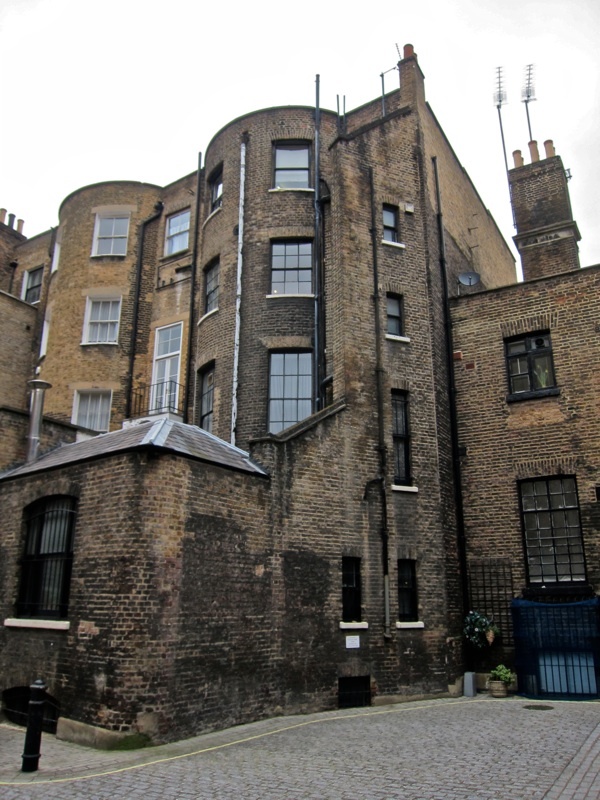 Sadly the Windsor Castle Crawford Place has been under threat since the building was sold to developers in 2014, and will close August 16th 2016. A recent planning application has been refused, but they’ll be back.